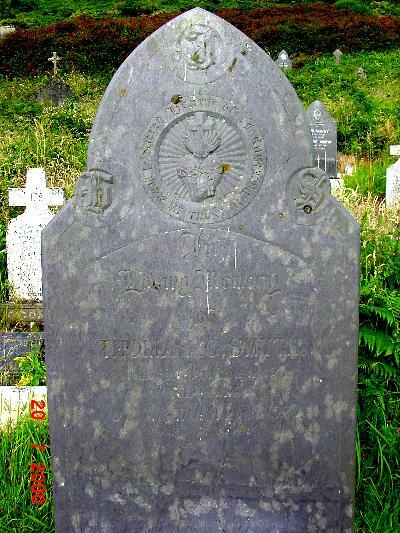 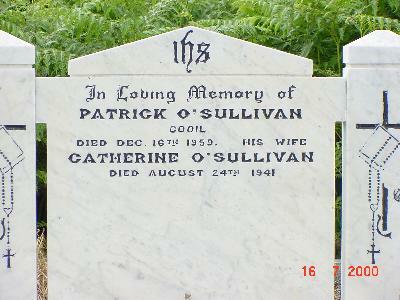 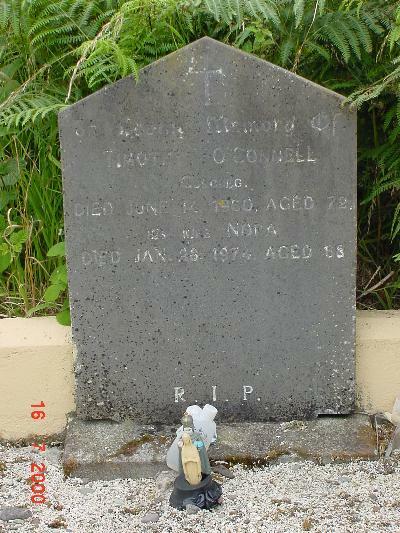 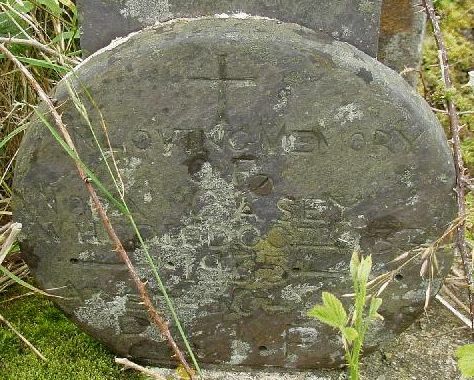 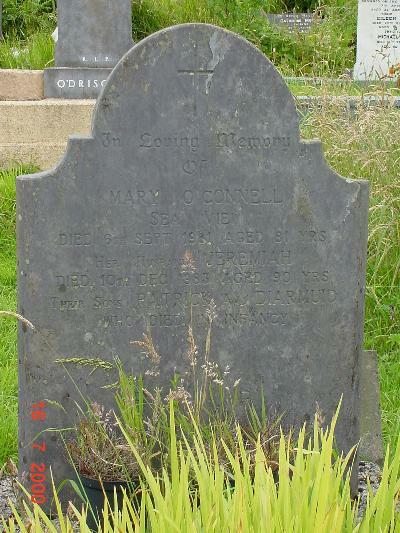 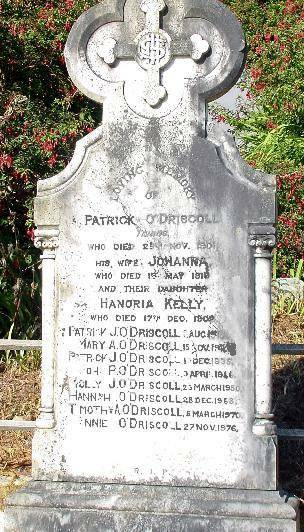 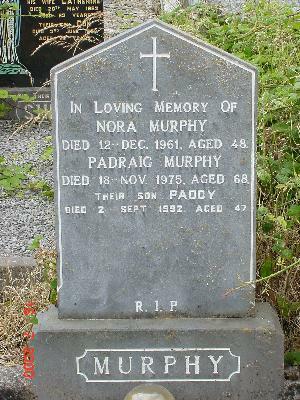 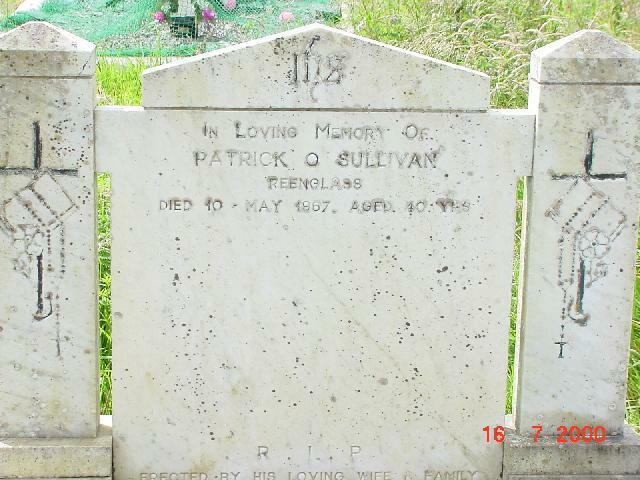 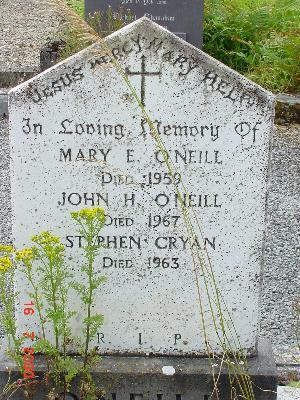 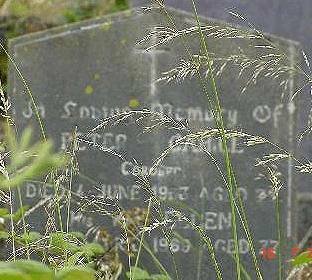 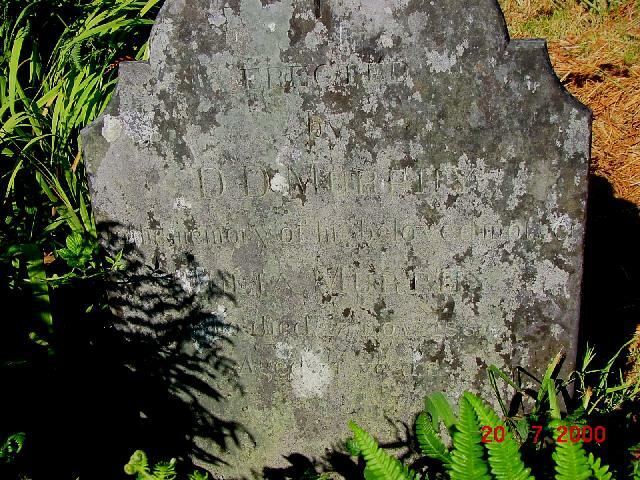 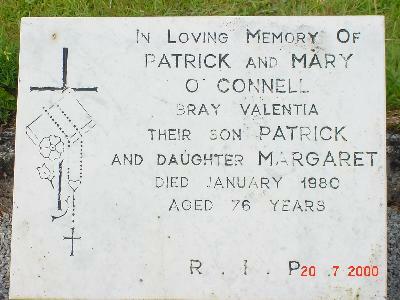 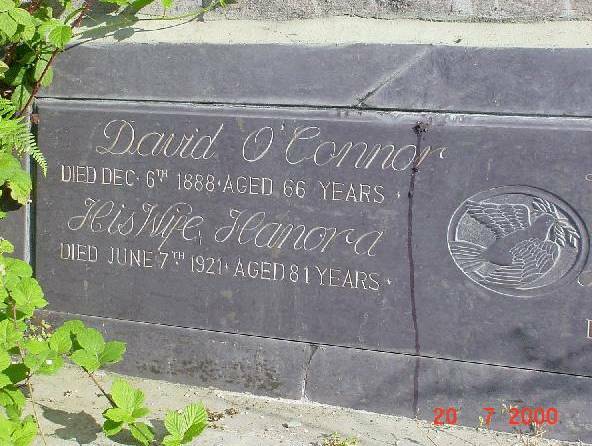 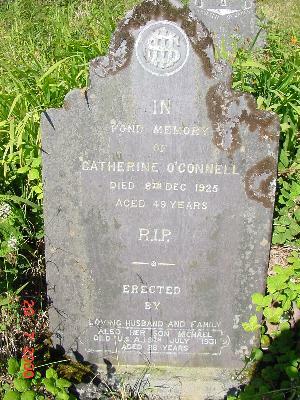 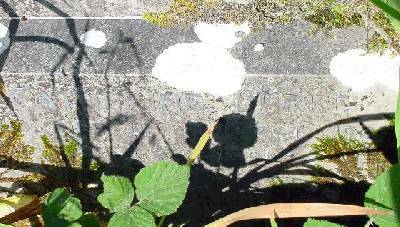 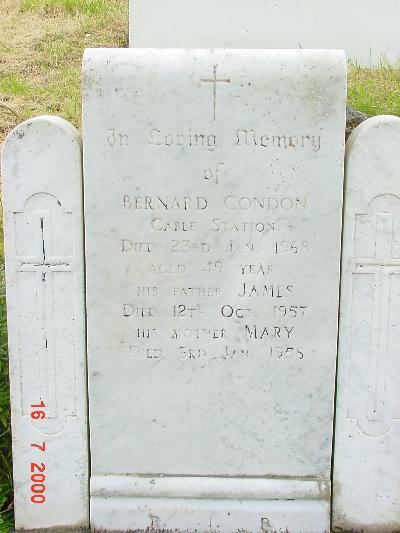 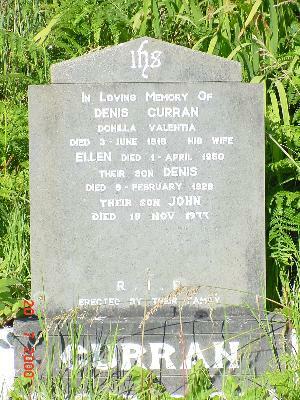 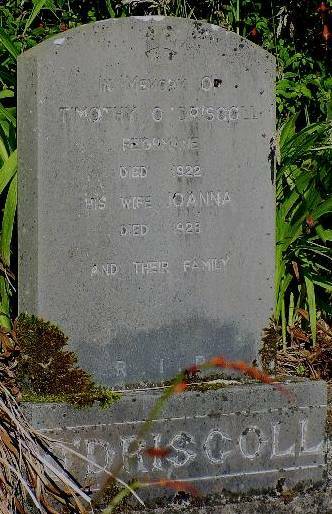 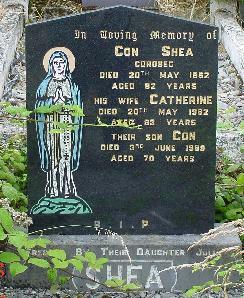 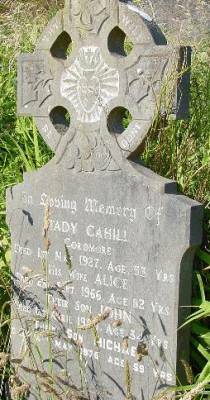 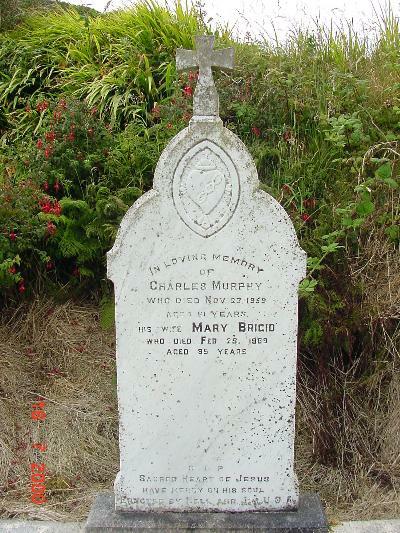 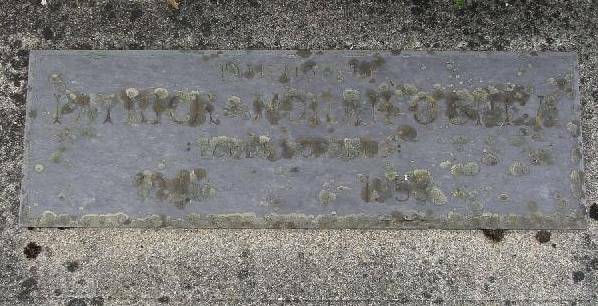 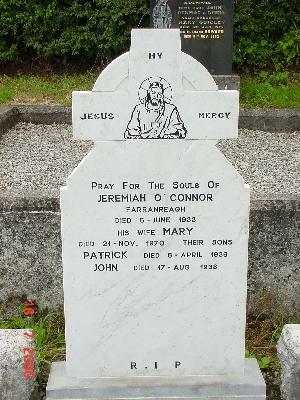 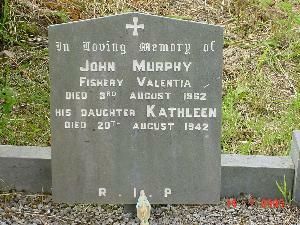 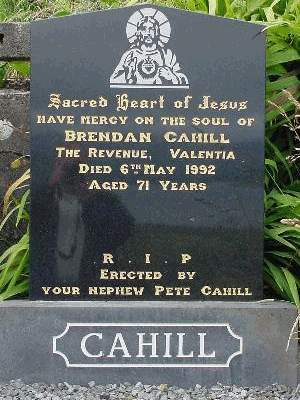 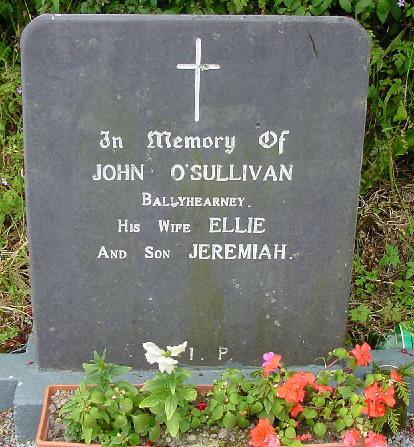 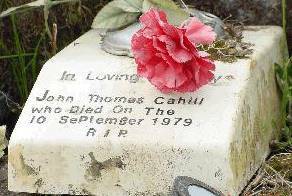 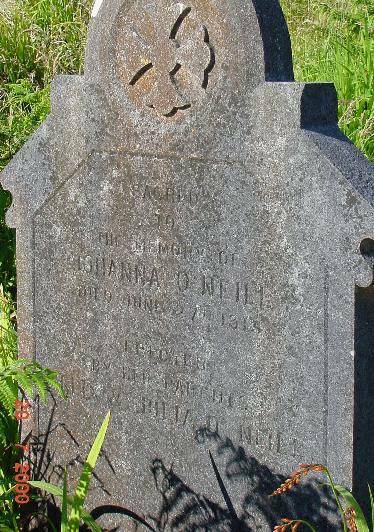 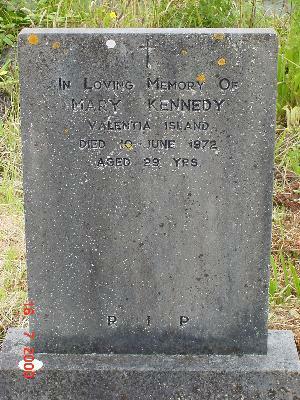 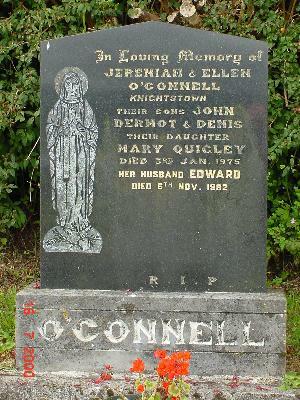 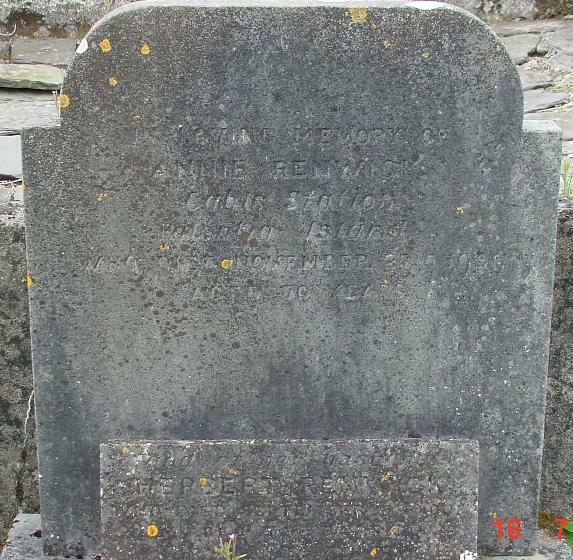 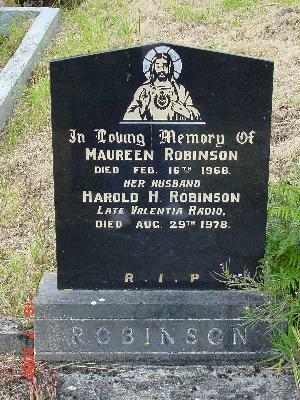 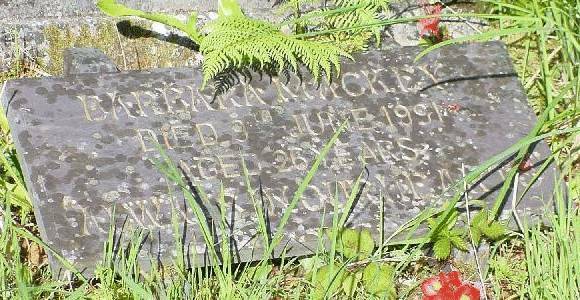 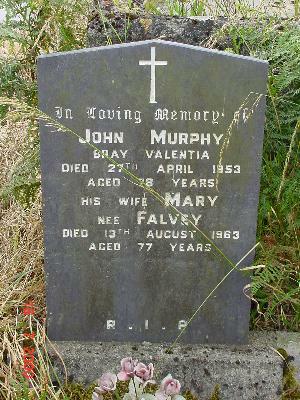 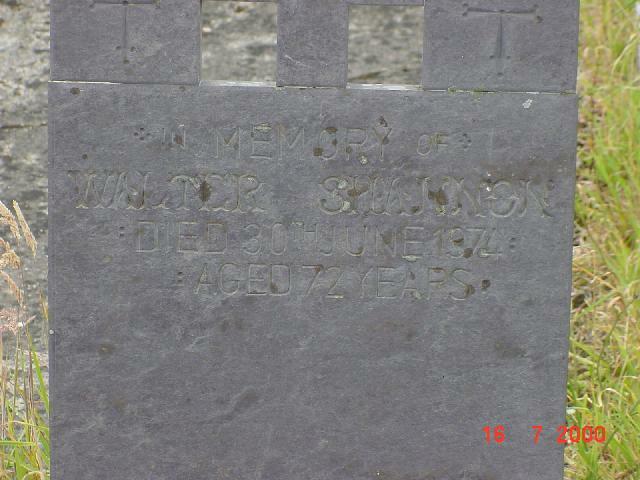 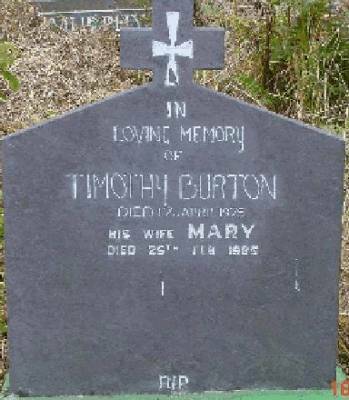 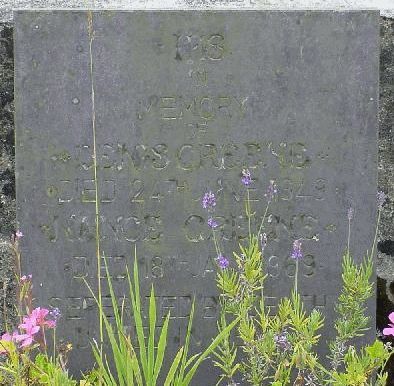 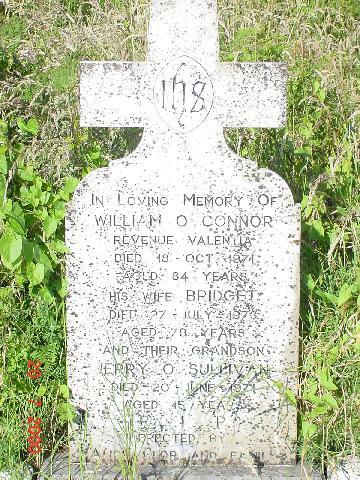 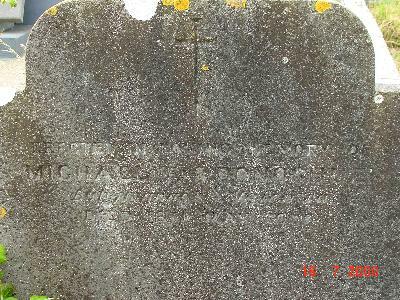 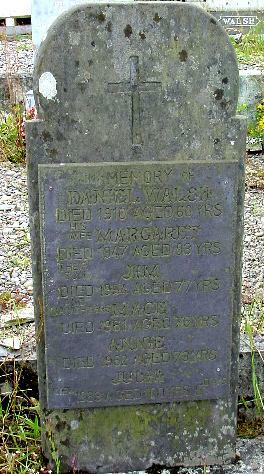 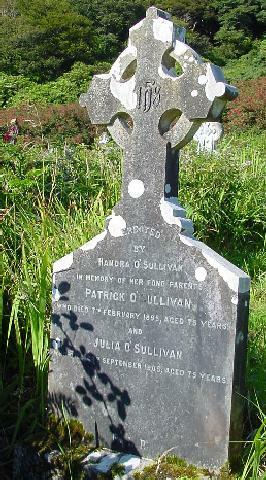 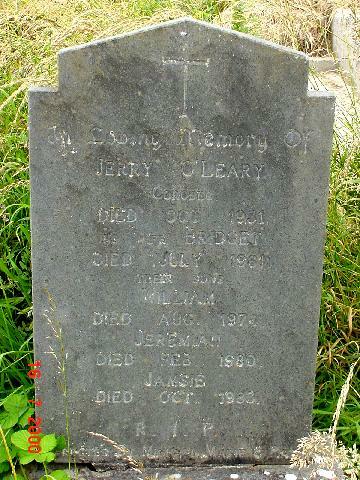 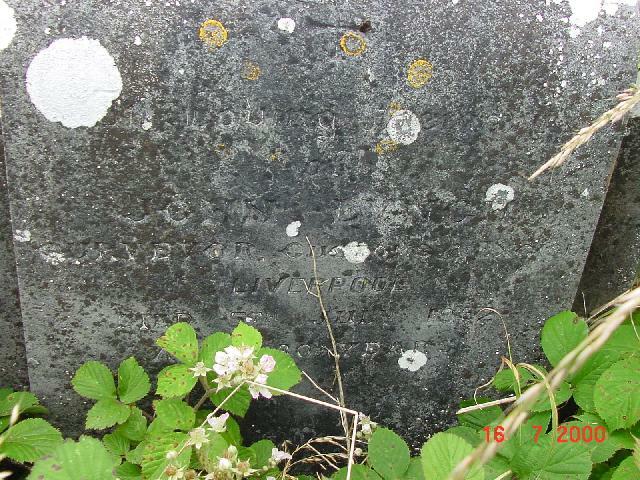 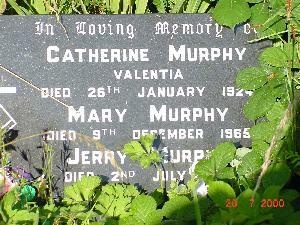 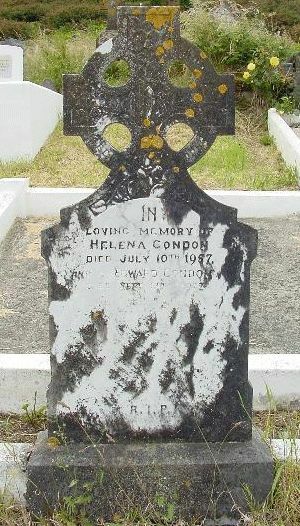 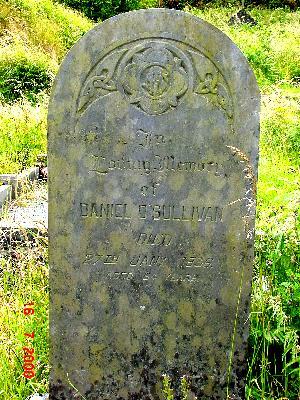 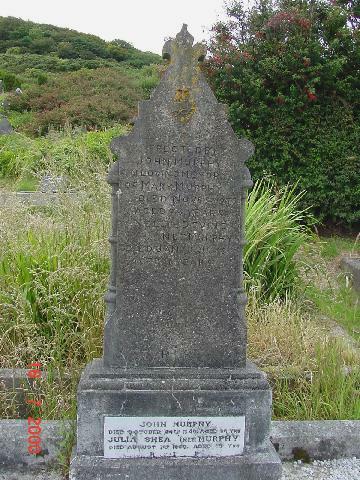 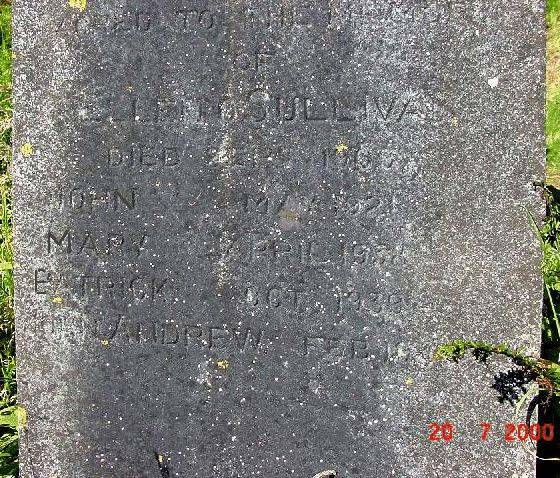 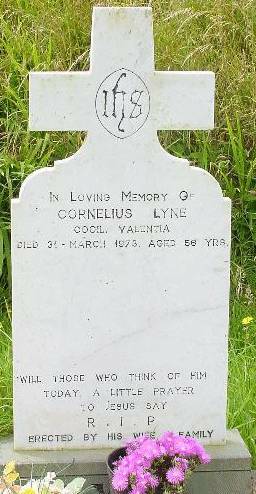 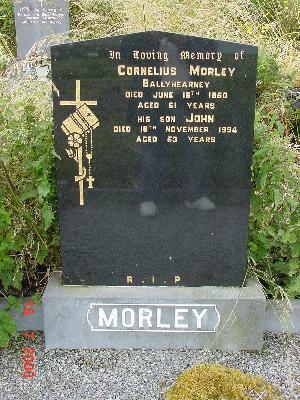 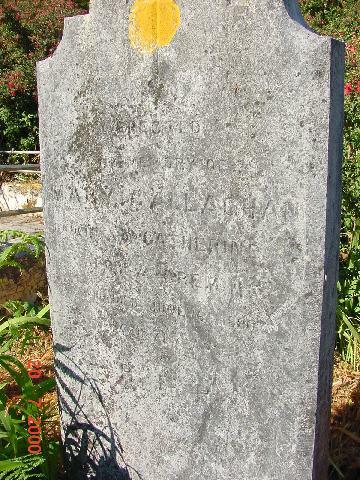 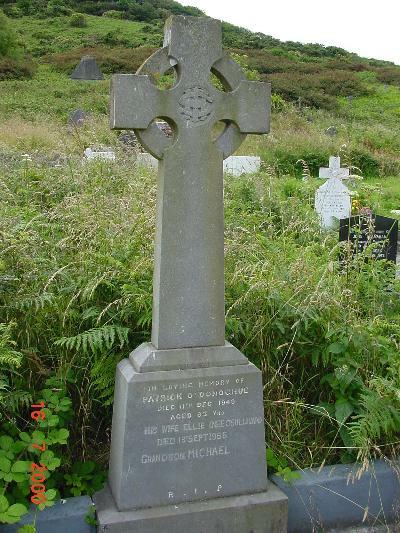 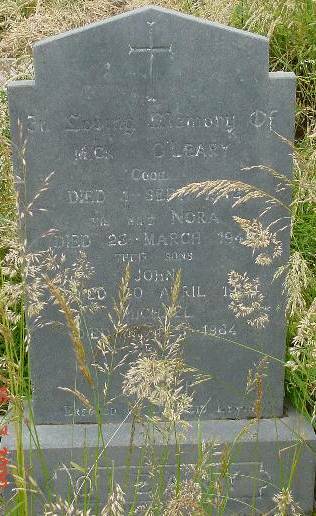 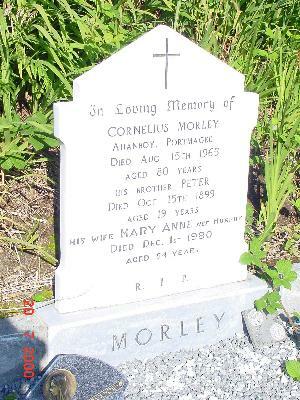 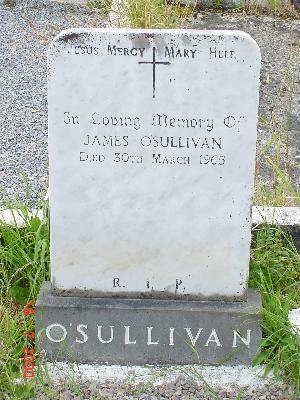 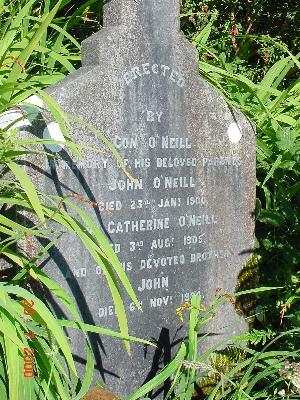 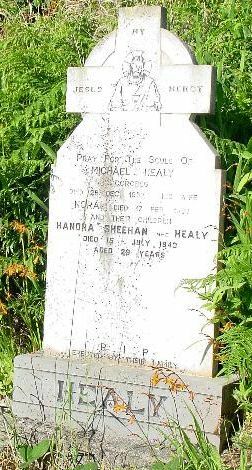 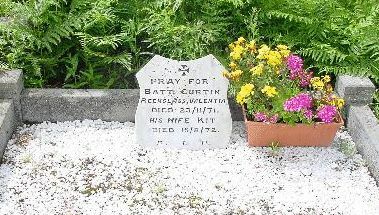 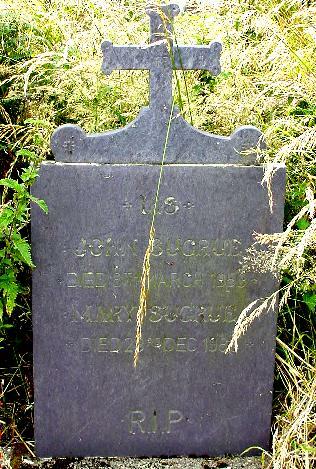 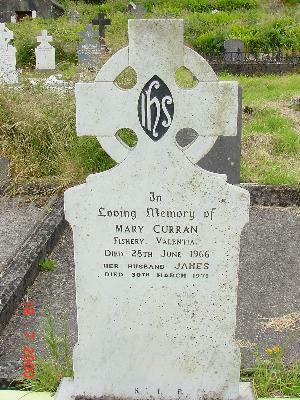 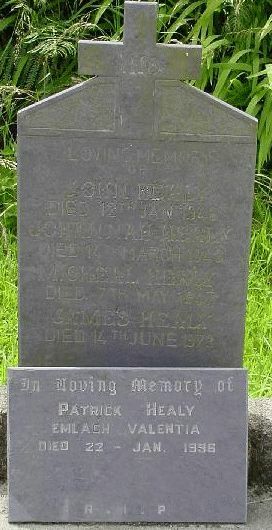 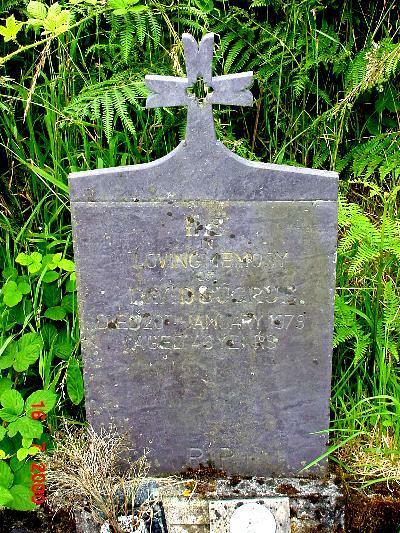 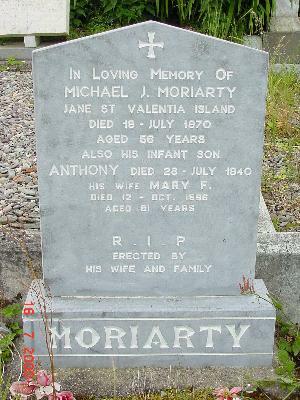 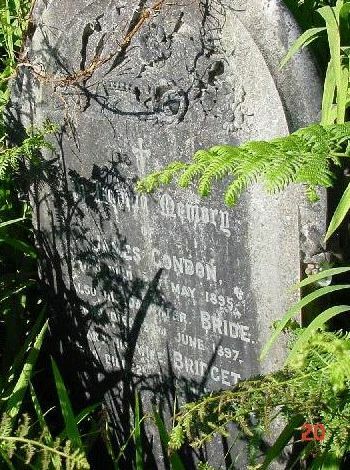 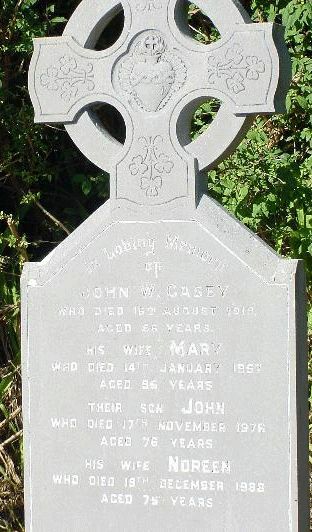 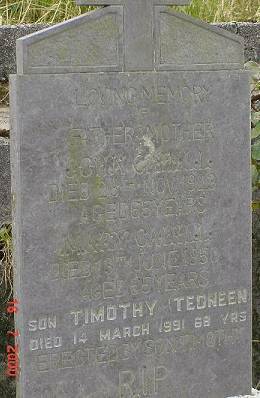 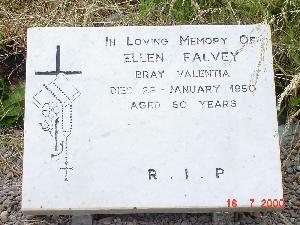 Kerry researcher Steven Sullivan recorded these names in the Catholic cemetery of Kylemore on Valentia Island during a visit in 2000. 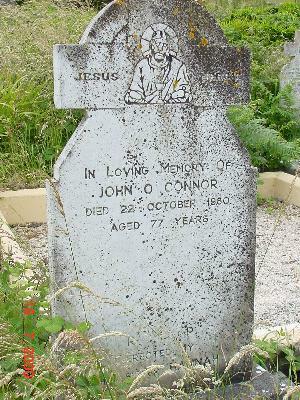 He notes it is not a complete list. 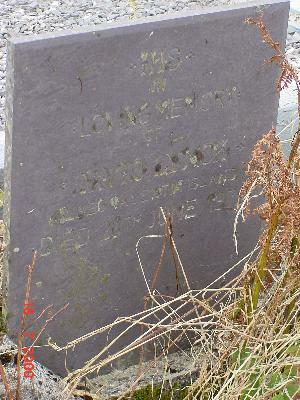 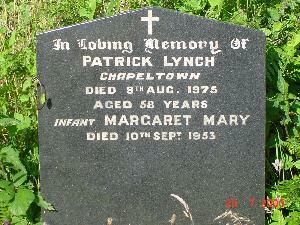 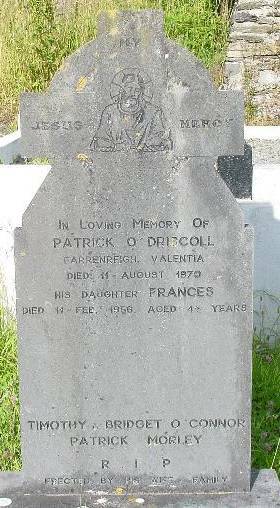 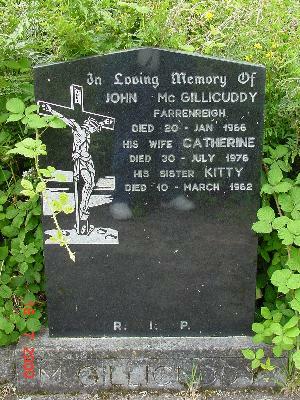 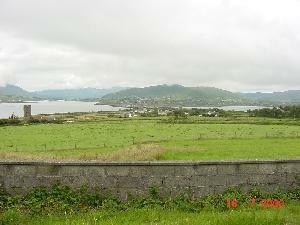 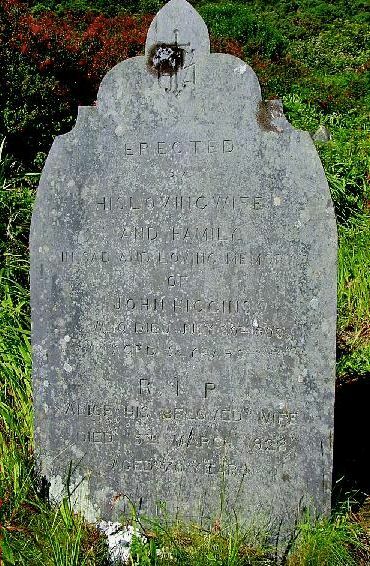 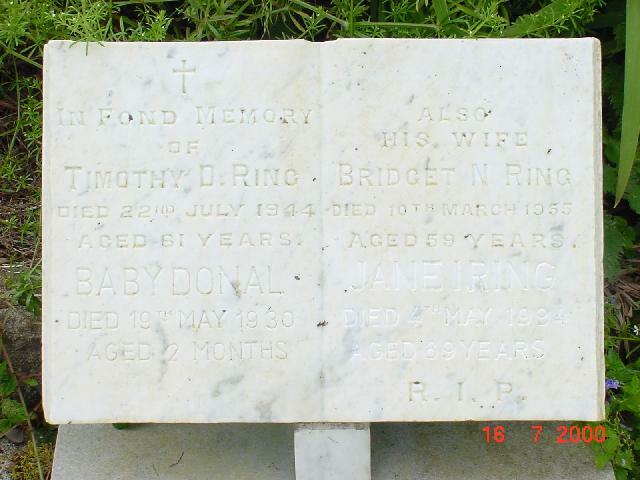 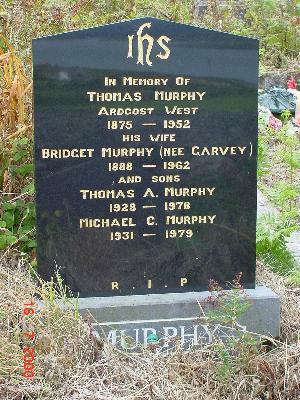 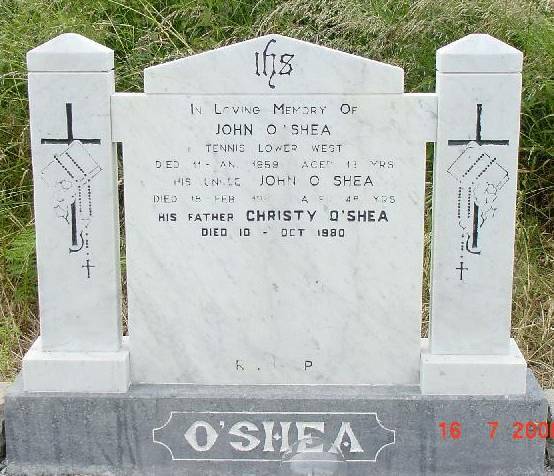 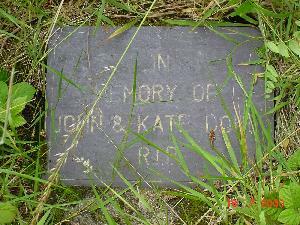 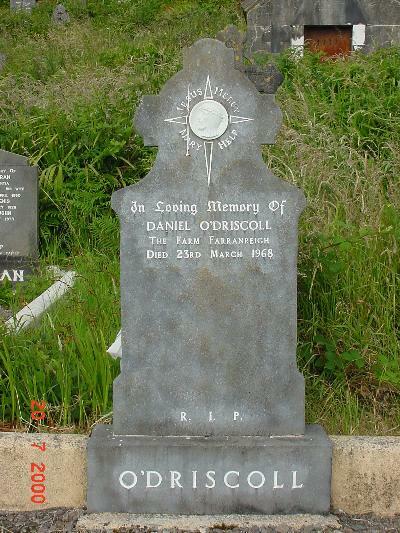 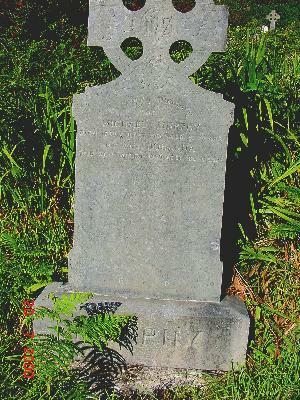 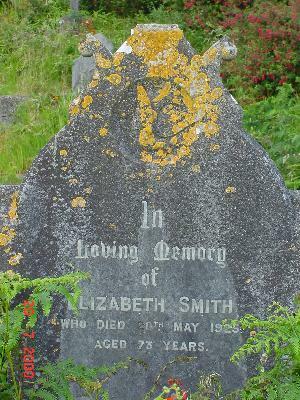 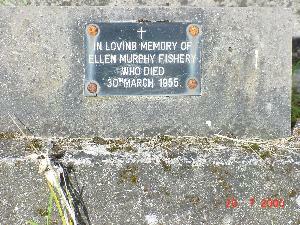 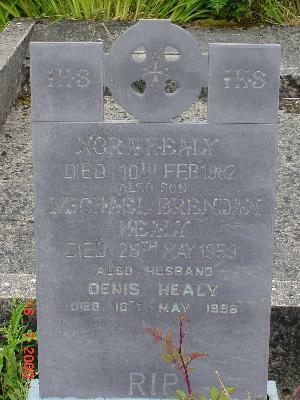 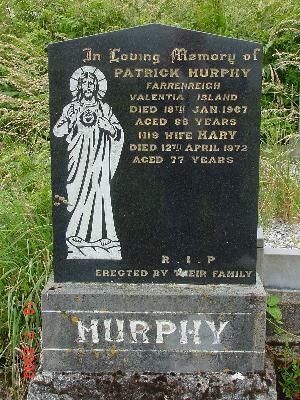 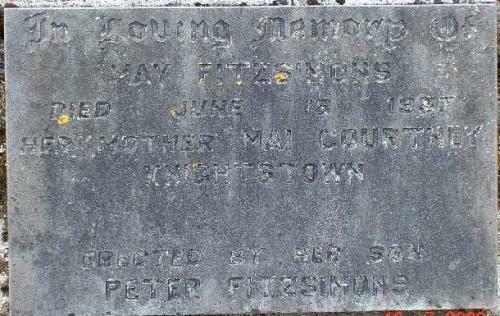 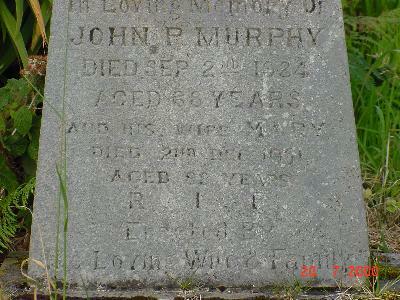 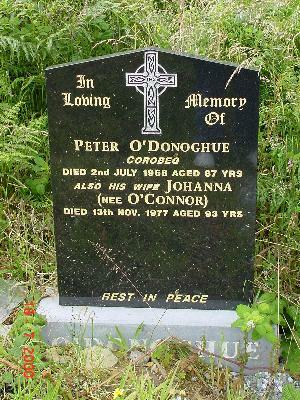 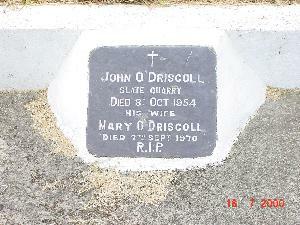 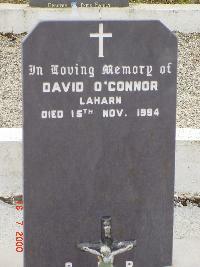 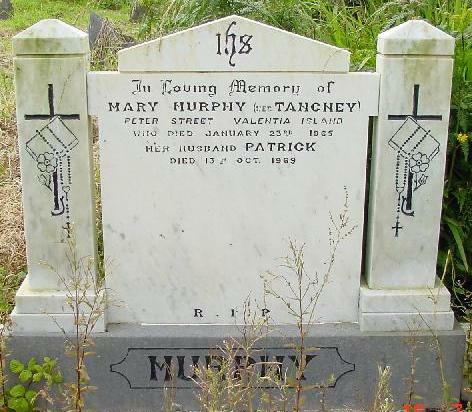 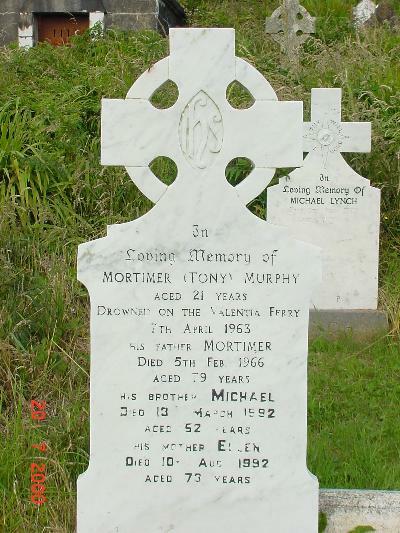 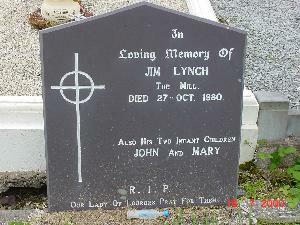 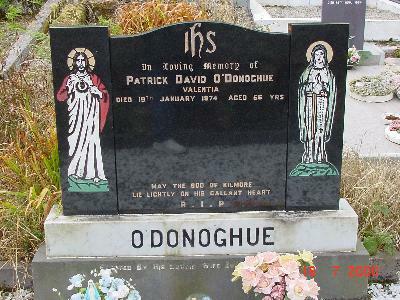 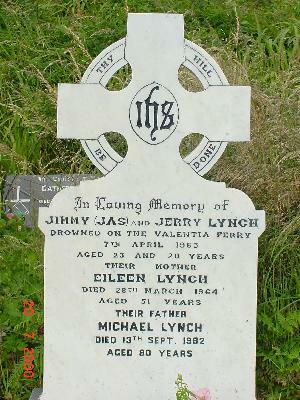 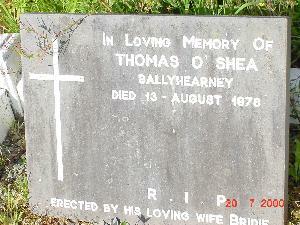 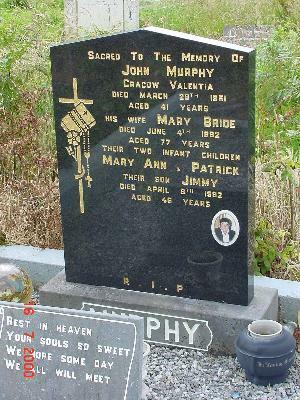 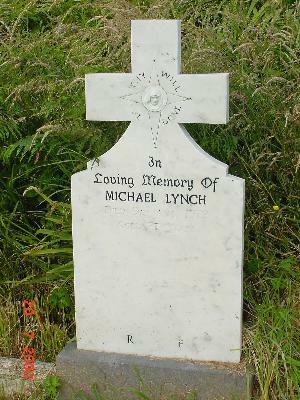 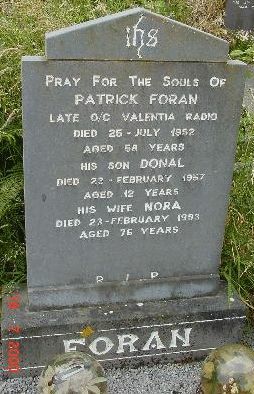 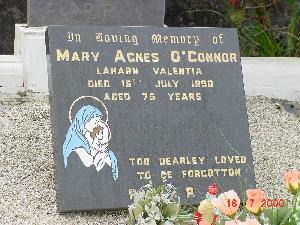 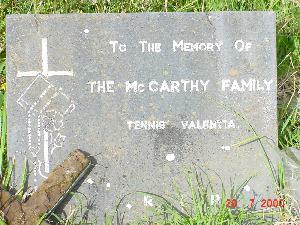 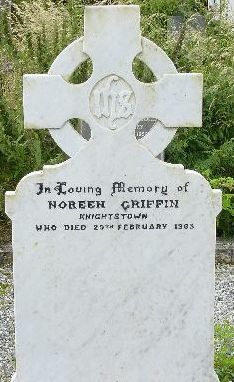 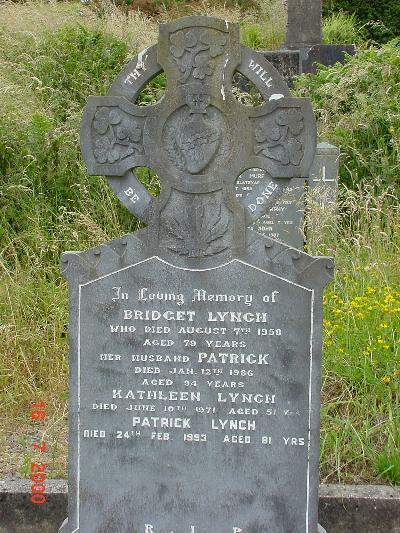 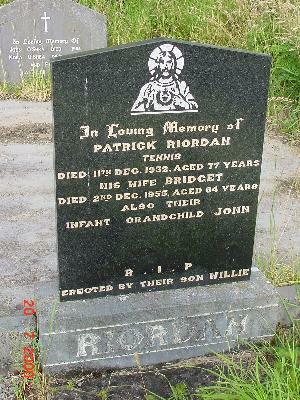 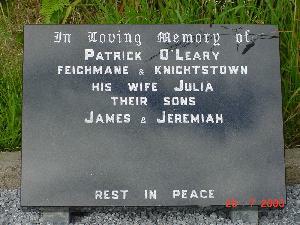 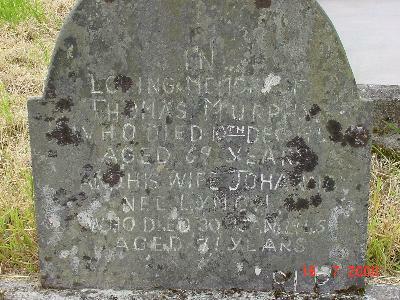 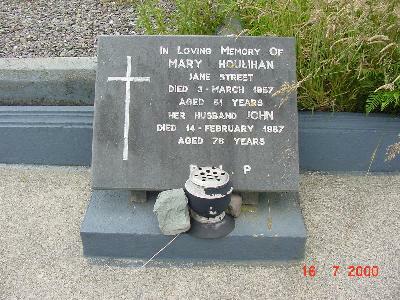 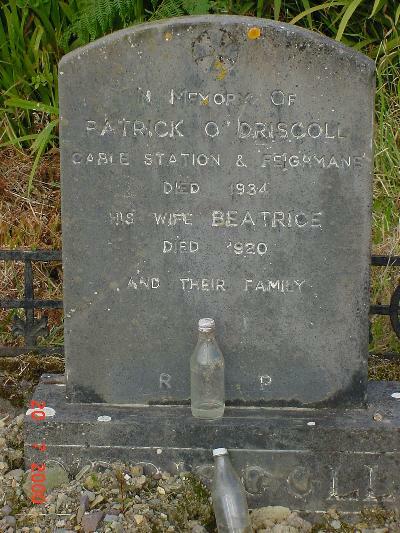 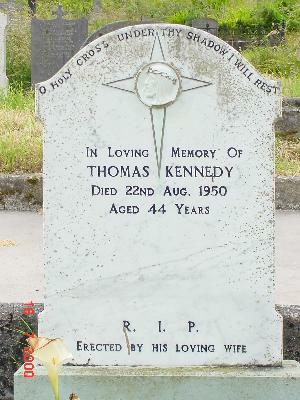 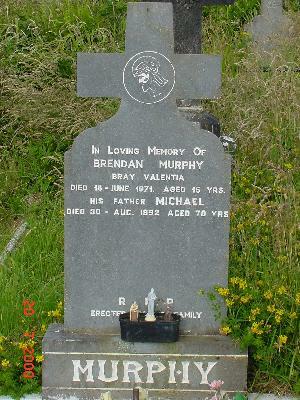 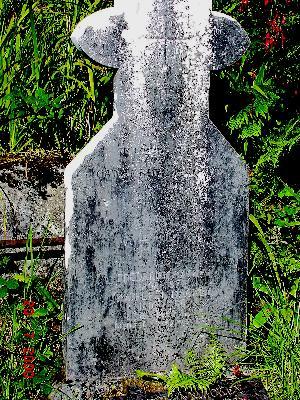 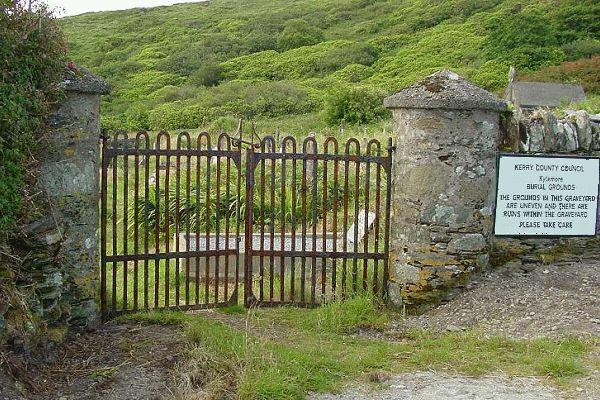 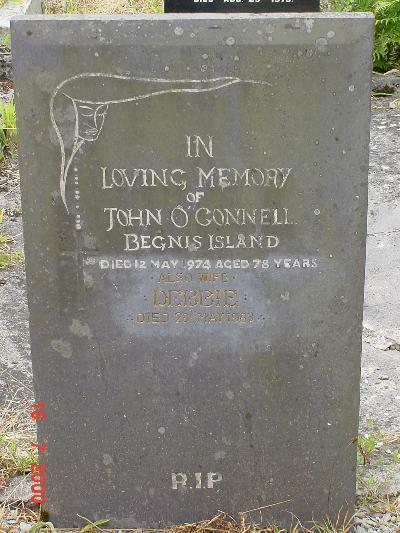 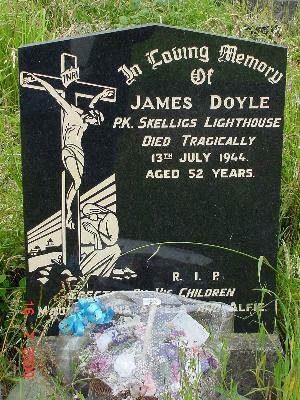 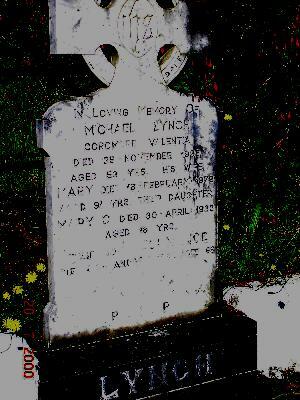 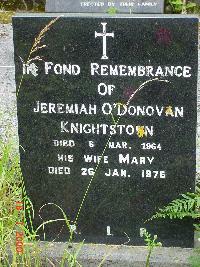 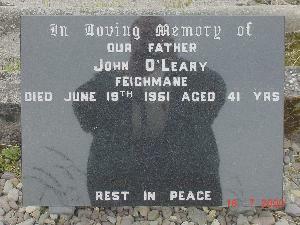 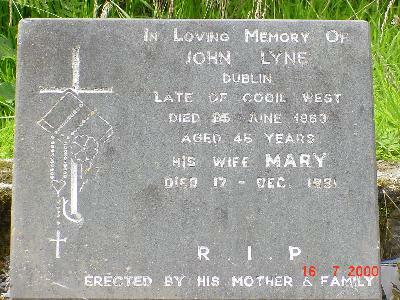 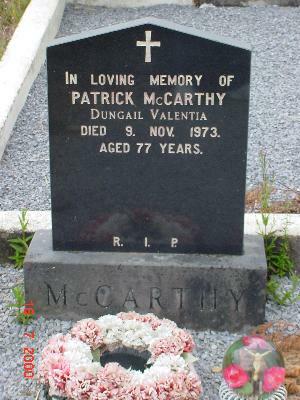 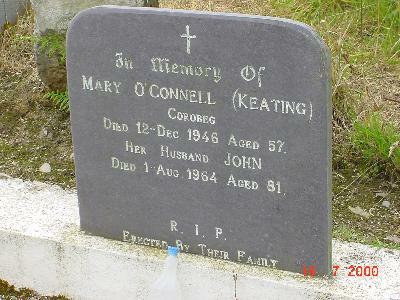 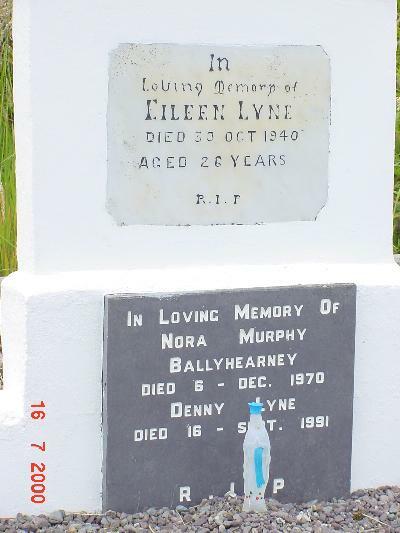 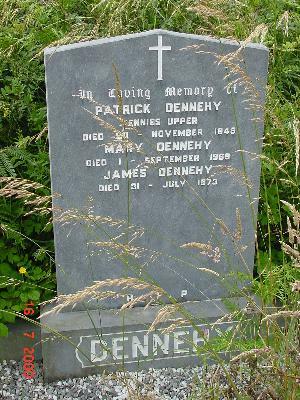 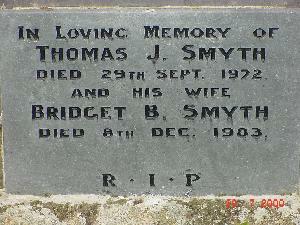 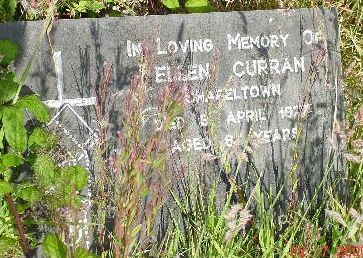 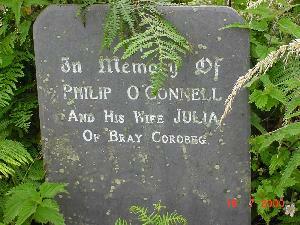 The cemetery is located just outside of Knightstown, between Glanleam and Farranreagh on the northeast side of Kilbeg Mountain. 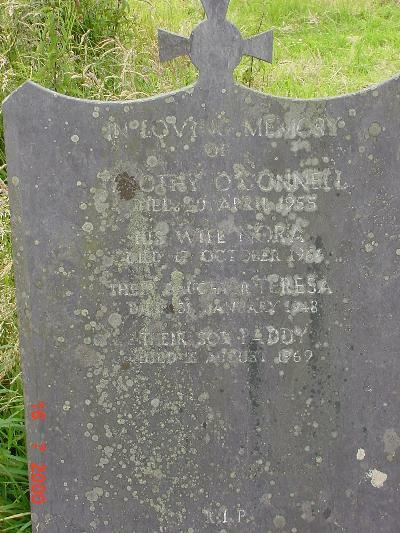 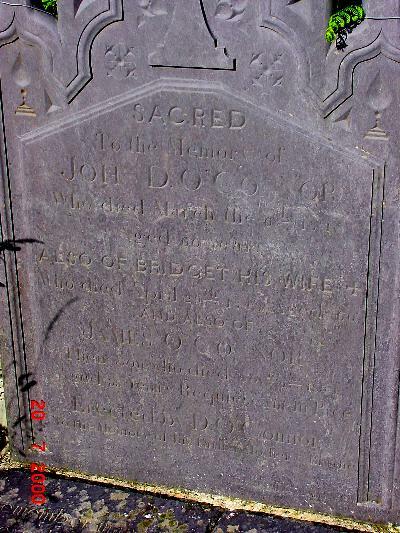 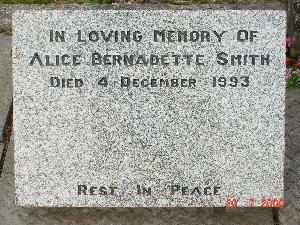 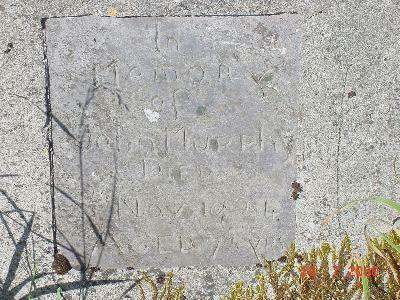 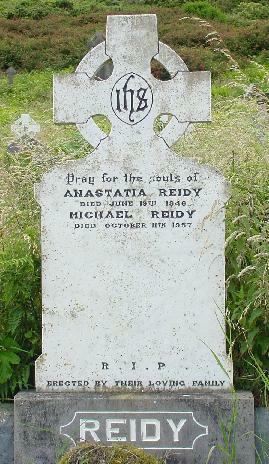 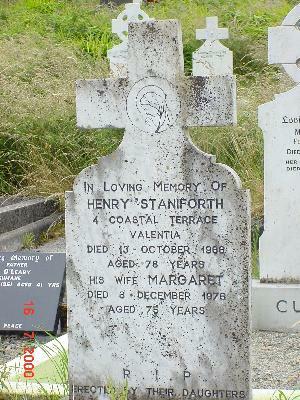 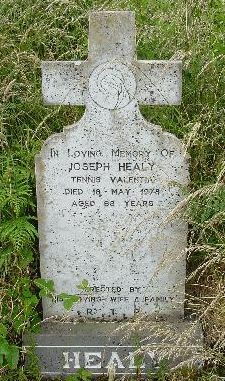 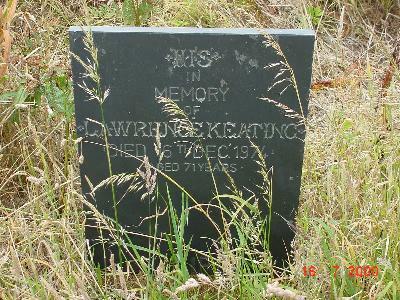 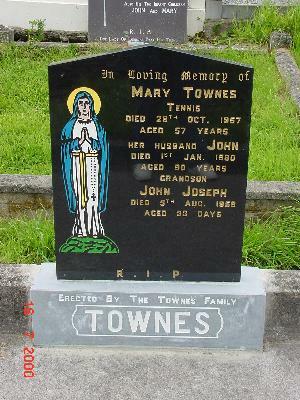 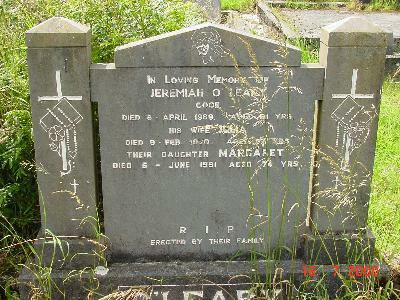 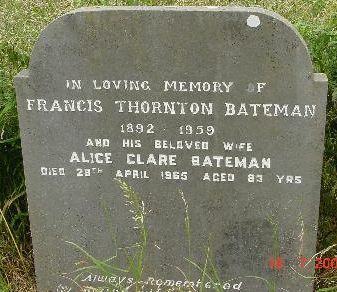 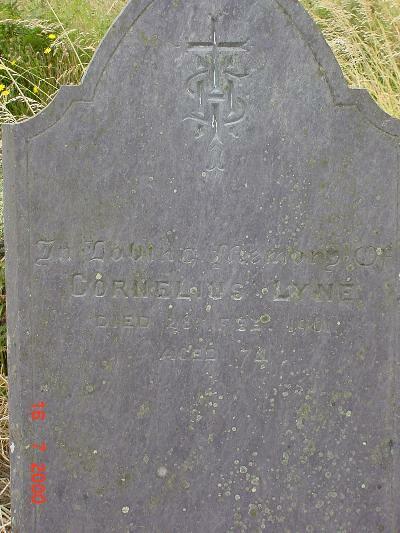 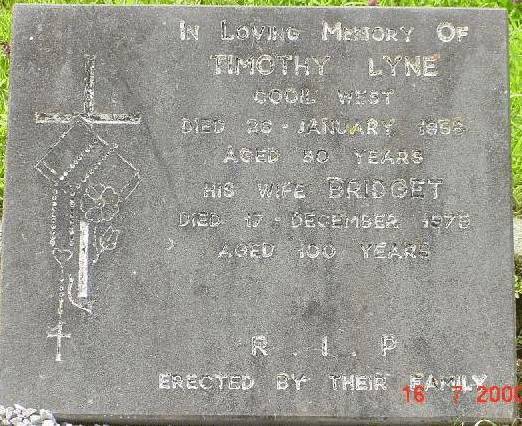 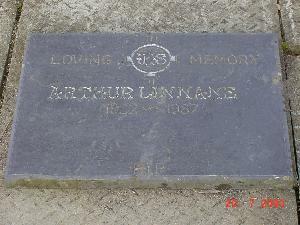 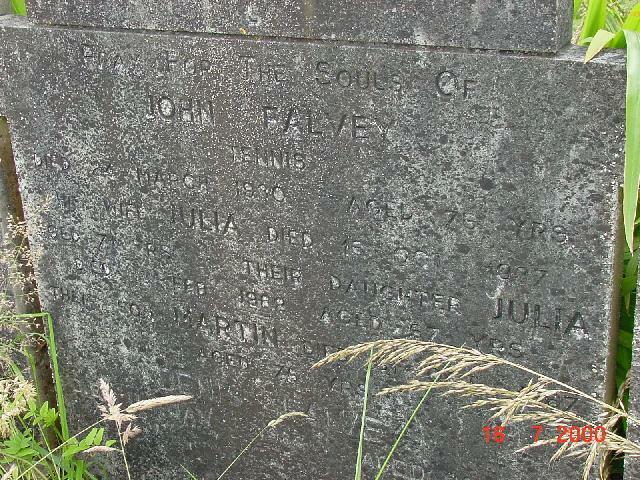 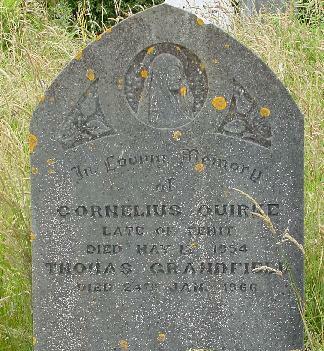 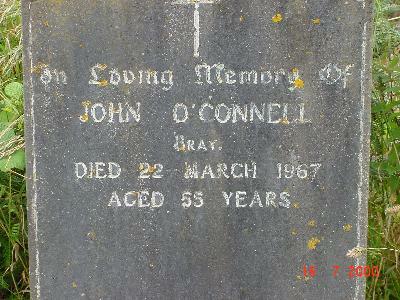 Many thanks to Steven for the mammoth effort of recording all the data on the headstones and for photographing each. 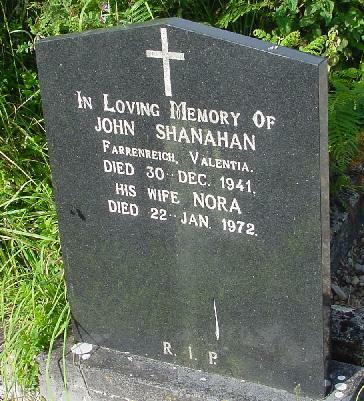 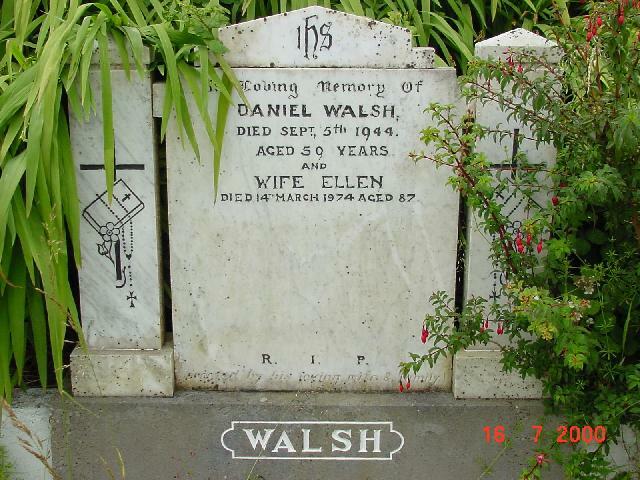 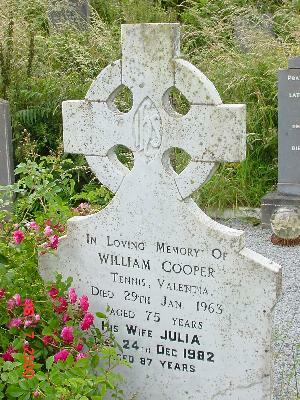 What a gift for all those researching	Valentia Island. 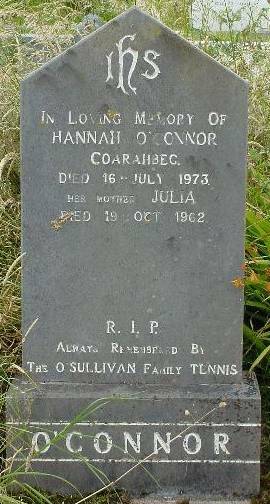 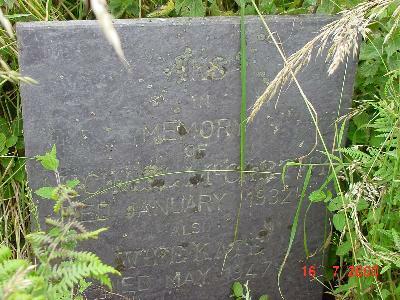 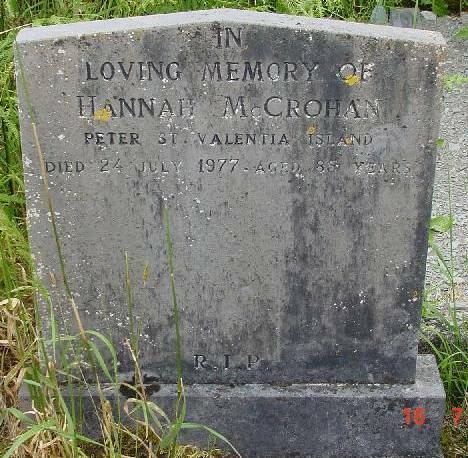 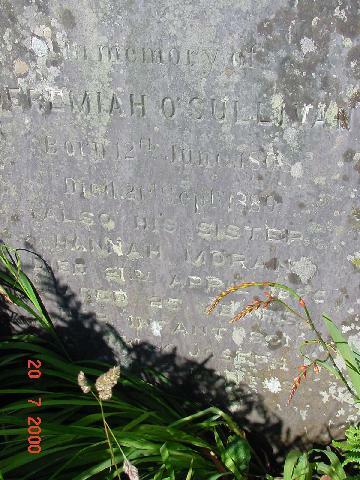 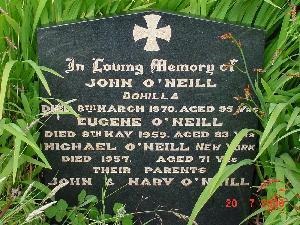 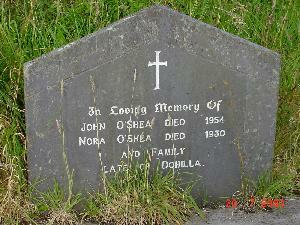 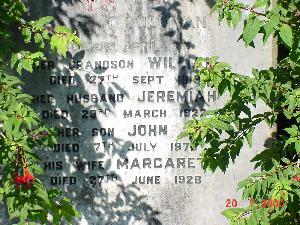 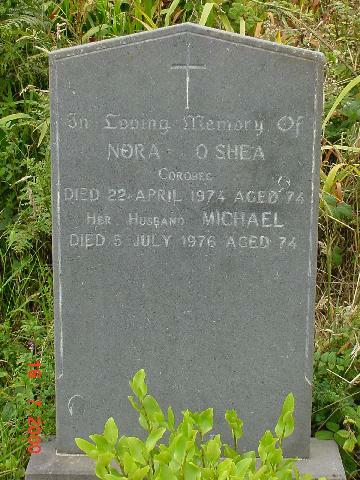 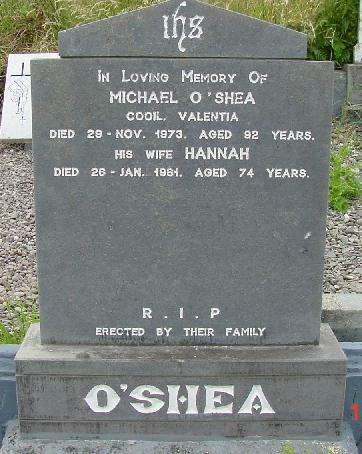 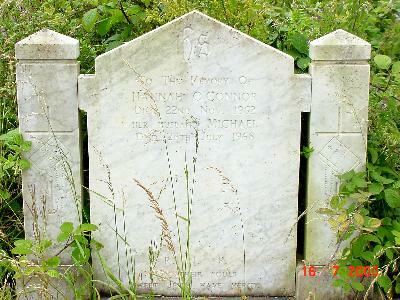 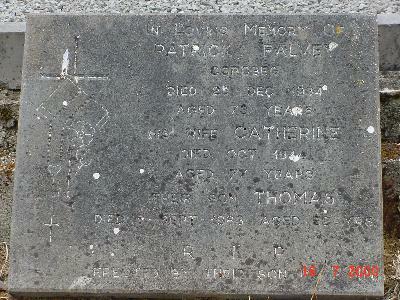 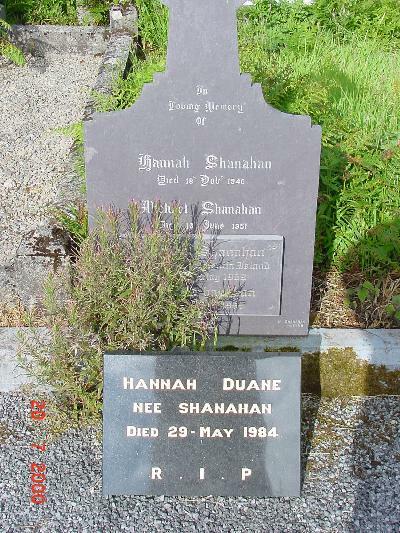 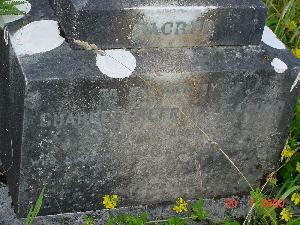 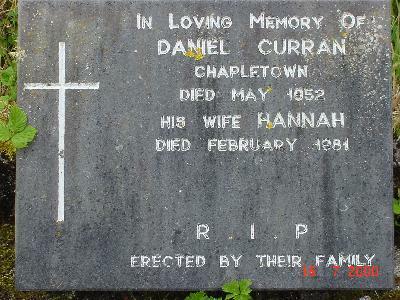 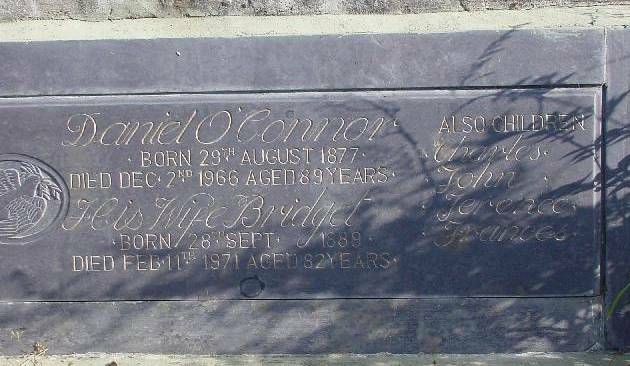 McCrohan, Hannah 7/24/1977, age 85 Peter St.
ODonoghue, Michael 18 May 1909? 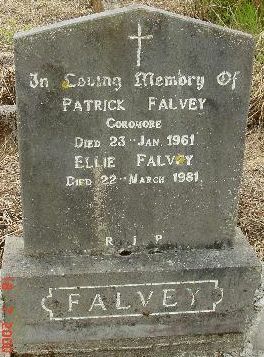 Bally? 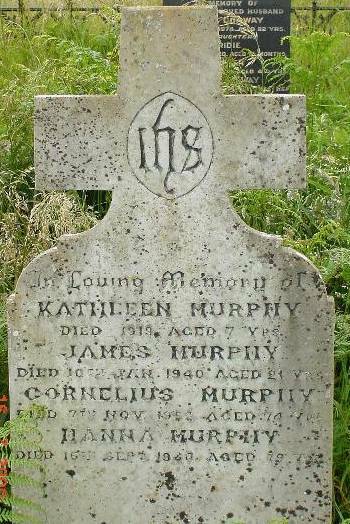 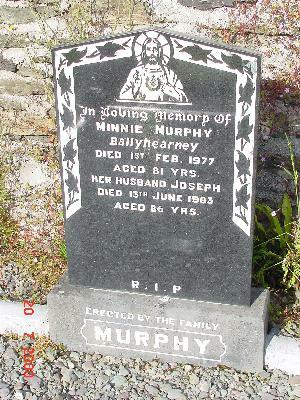 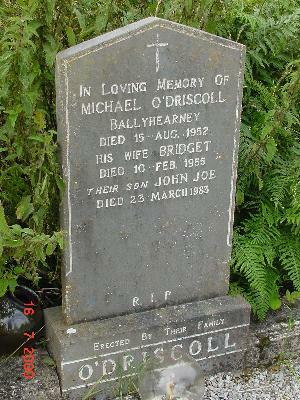 10/12/1996, age 89 Jane St.
Murphy, Michael 1 Nov 190?